ONLYOFFICE Documents allow you to manage and edit documents stored both on ONLYOFFICE portals and various cloud services connected to ONLYOFFICE. You can edit documents collaboratively with users of your portal. The app fully supports offline editing on device as well. The document and spreadsheet files can be viewed or edited without installing any additional software. Presentation and PDF files are available for viewing. Broad range of text processing instruments: page, paragraph and text formatting, operations with tables, autoshapes, charts, etc. 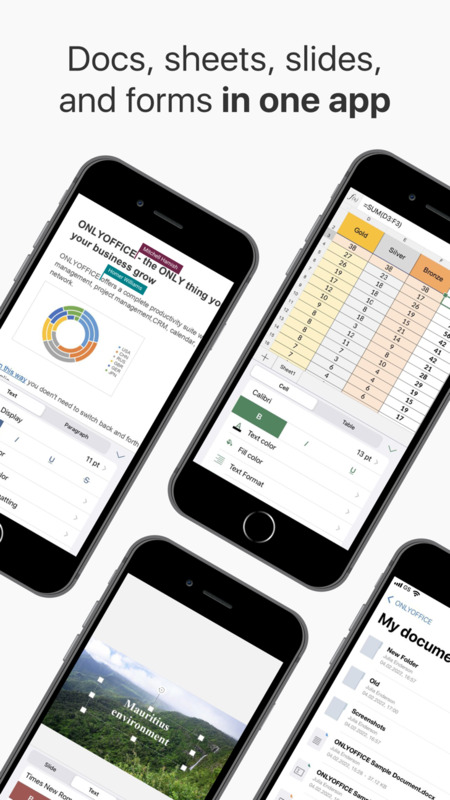 There are plenty of features for managing your spreadsheet data: operations with rows and columns, cell parameters adjustment, more than 280 built-in functions, sorting and filtering capabilities. 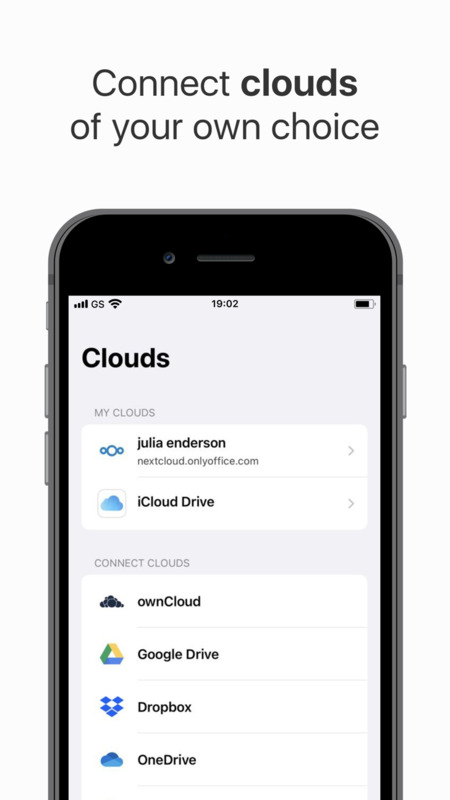 With ONLYOFFICE you can make use of full-scale document editors on your iOS devices, importing documents and spreadsheets from side applications like iTunes or connecting third party cloud storage services. General performance and stability enhancements. We always try to enhance ONLYOFFICE. If you have any questions or comments, leave your feedback at ONLYOFFICE Documents page in App Store. We will be glad to help you!